We received an email recently from a friend of Helping Restore Ability today. Among other things, she included the following “Core Values of Work” that she received from her CPA. 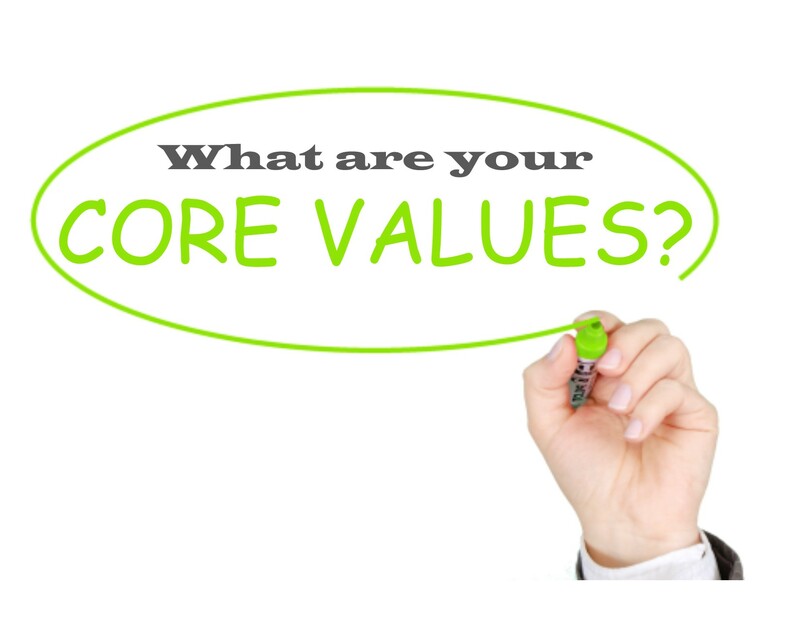 Are they truly the core values of work, or could one argue that they are in fact the core values of life? Action reflects value. It is that simple. 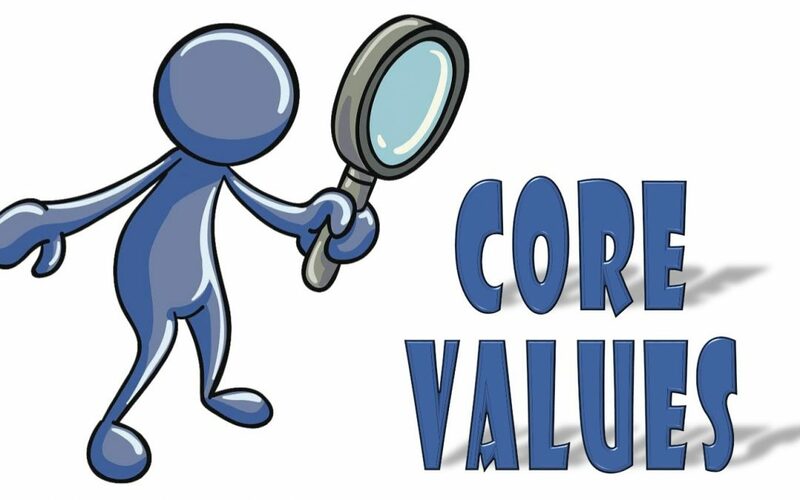 The action that a person takes will be the most telling sign of their core values as a person. No online test or study can better describe a person than the simple act of observation. The quickest way to know what your personal core values are is to ask the people closest to you. You may be shocked at their responses. Is it possible that you aren’t living your best life? Examine the list of core values below and choose one that you wish into integrate in to your everyday life. Take just 1 week and think about that value as you move through your day. When you wake up in the morning, what is framing your attitude for the day? During the drive to work or school, how are you reacting to the traffic and stop lights? As you complete your tasks for the day, is your heart in the work you are doing? Take initiative. Lead. Always think about how your role will play out and how you can improve. Go above and beyond expectation, do something before you are asked, complete a task that isn’t normally yours to complete. Whatever you do, do it so that you’re deeply proud of it. Do each thing as if the end result will hang on your wall forever. How will you feel about what you did 5, 10, or 20 years from now? Act with integrity, no matter what. Image every person in your family, your friends, and your boss are watching your life unfold. You are a reality TV Superstar. Strive to transcend expectations, always. What is the best result of the situation at hand? Can you do better than that? Be competitive with your own expectations. Be adaptable and innovative in all that you do. Do not fall prey to the “it’s always been done this way” trap. Try out new ways of doing old tasks, if it doesn’t work, try something else. Most importantly, don’t get discouraged. Help each other succeed at work and in life. Lighting a second candle does not dim the flame of the first. Help others to succeed and achieve at their goals. Respect everyone for who they are and what they contribute, no matter how different. Take time to understand the difference they bring and how that contributes in a way different than your own. Play out that respect in a way that honors their contribution. Keep perspective: be passionate and diligent, and have fun. Yes there are things we must do in life that you may not want to, but that doesn’t mean that it cannot be fun. Find a way to enjoy even the most mundane tasks. Take your week and live out the core value that you see as most beneficial to your life. If you want to take it a step further, journal throughout the week on attitude or action changes that may have happened. How do you feel at the one week mark? Research shows that it takes 30 days to form a habit. Continue the challenge for an additional 23 days. Once this value becomes a habit, move on to another and then another. How much can your life change in 30, 60, or 90 days? Thank you to Jan Underwood for sharing the inspiration behind this post. Jan is the mother to Austin Underwood, owner and operator of Austin’s Underdawgs. 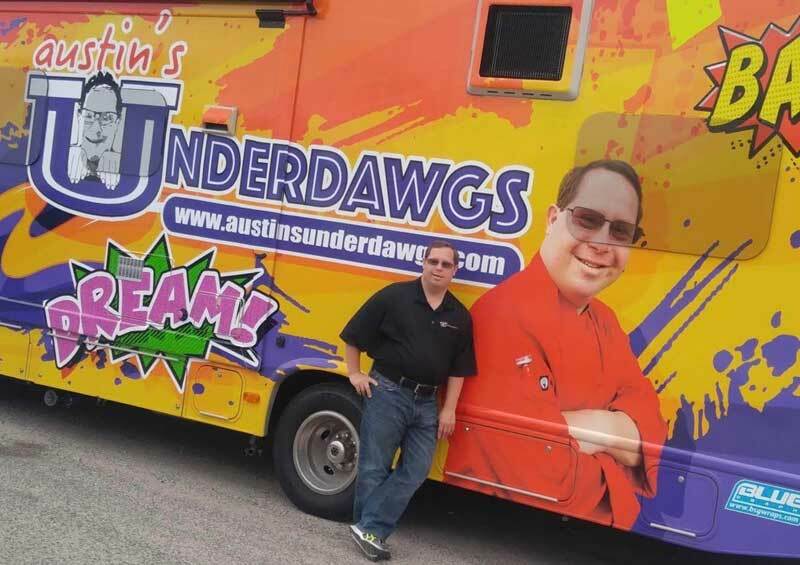 Austin’s Underdawgs is an independently owned Hot Dog Food Truck, which is the result of a 39-year old with Down Syndrome and a big dream and strong Core Values.